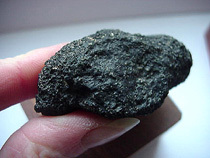 This group is named for its only member, Chassigny, a meteorite that fell in France in 1815. 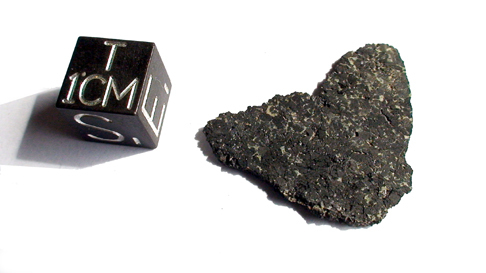 As a witnessed fall that was recovered in the early days of meteoritics, it was one of the first meteorites to be recognized as a genuine rock from space, and it subsequently proved to be one of the most intriguing ones. 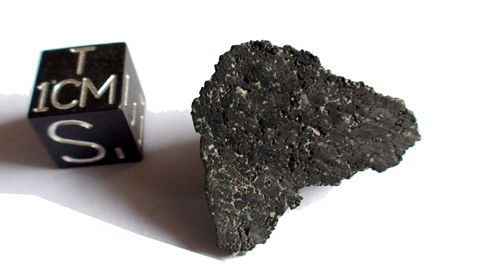 Chassigny is a cumulate rock, resembling a terrestrial dunite. 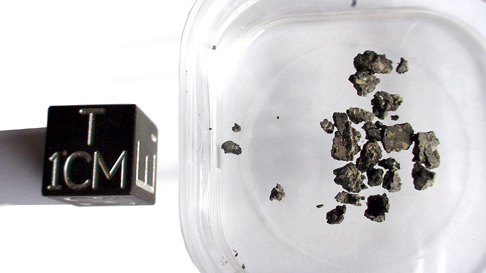 It consists of about 91% iron-rich olivine, 5% clinopyroxene, 1.7% plagioclase, 1.4% chromite, 0.3% melt inclusions, and other accessory minerals and phases. The melt inclusions contain rare amphiboles, and cracks within Chassigny are filled with carbonate and sulfate salts, indicating a mild pre-terrestrial aqueous alteration. harvests of data to understand the evolution of our solar system. 1815. With the discovery of NWA 2737, a huge lack has been filled. 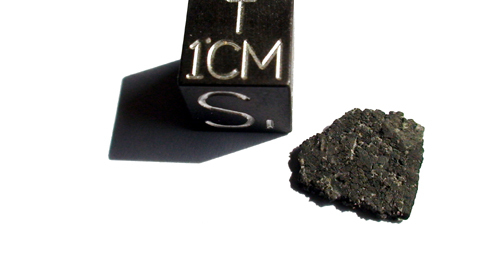 The total number of our unpaired SNC meteorites is now 8.
perfect wire saw cut slice, less than a mm thick !! 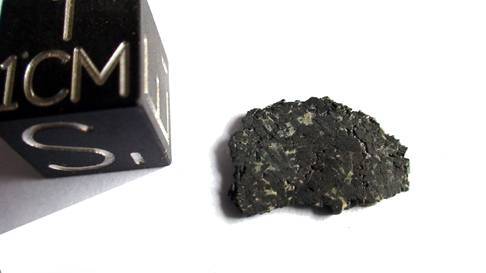 complete fragment, the best of the group. 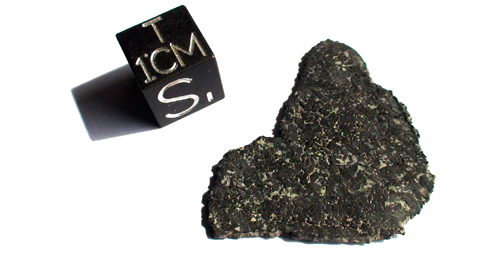 Nice fragment of Chassignite with an open window ! Very nice endcut of Chassignite ! Very nice large slice of Chassignite ! Very nice thin slice, the best of the group. 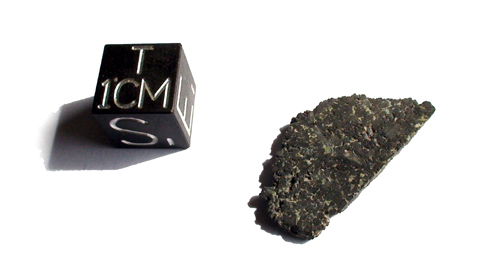 Nice slice of Chassignite ! thin slice with crust ! 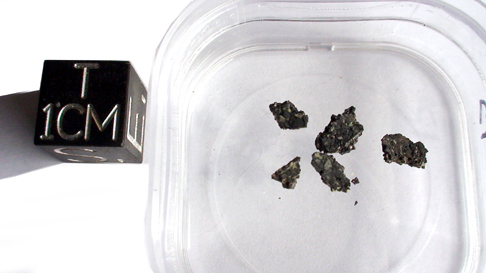 Very nice slice of Chassignite ! Group of nice fragments ! for chemistry !! !